Year 3 have been on an adventure back in time to prehistory when dinosaurs ruled the earth! 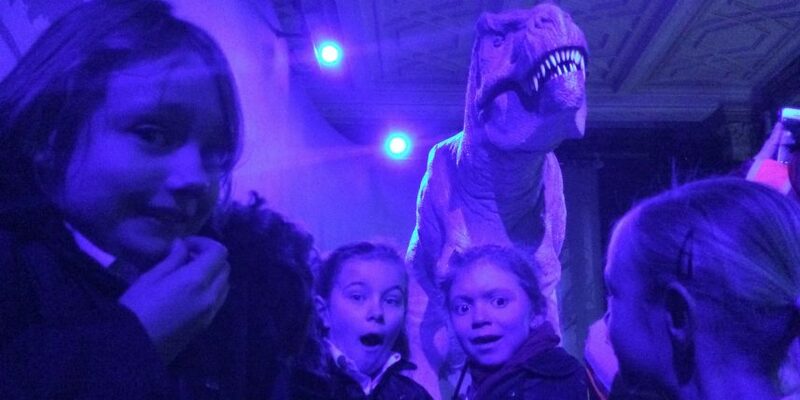 The children visited the Natural History Museum where they explored dinosaur diets, physical features and habits whilst avoiding being eaten by a very scary T-rex! The exhibition was jam packed with information and interactive tools for the children to use. They particularly enjoyed simulating the movements of dinosaurs by walking with them. Back at school and full of dinosaur knowledge, the children created their very own Top Trumps game to play and have written positive and informative TripAdvisor reviews of their visit.